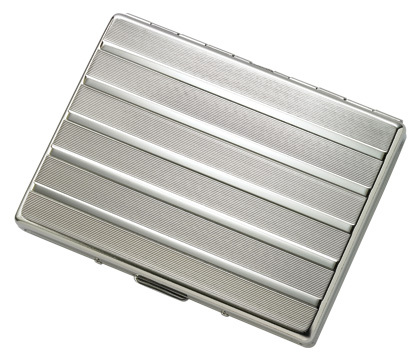 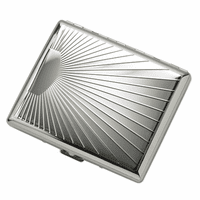 FEATURES/SPECS Get this Horizontal Striped Single Sided Cigarette Case for Kings and 100's for your very favorite smoker. 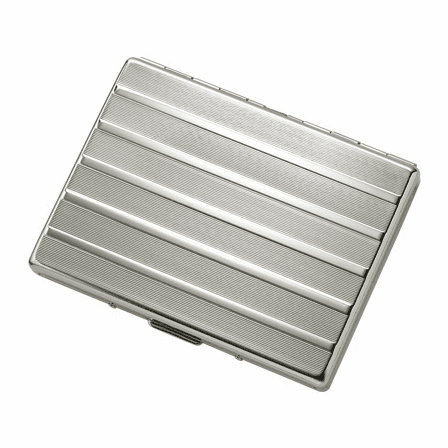 Made from sturdy and long-lasting aluminum, this case features an alternating width stripe design and lightweight metal arms to keep their smokes in place. 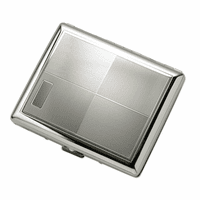 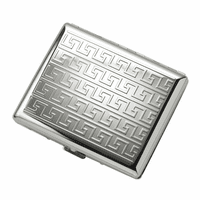 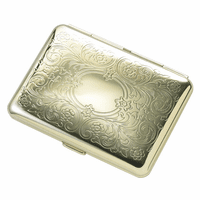 It has capacity for up to 9 king-size or 100's cigarettes and it comes to your door with the backing of the Executive Gift Shoppe Guarantee of quality.